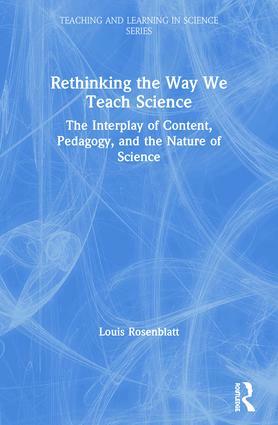 Offering a fresh take on inquiry, this book draws on current research and theory in science education, literacy, and educational psychology, as well as the history and philosophy of science, to make its case for transforming the way science is taught. Re-thinking the Way We Teach Science addresses major themes in national reform documents and movements--how to place students at the center of what happens in the classroom; how to shift the focus from giving answers to building arguments; how to move beyond narrow disciplinary boundaries to integrated explorations of ideas and issues that connect directly with students; and most especially, the importance of engaging students in discussions of an interactive and explanatory character. Deeply anchored in the classroom, highly interactive, and relevant across grade levels and subject matter, above all this is a book about choosing to place the authority of reason over that of right answers. What Do We Teach When We Don’t Teach the Answer?